We have dozens of members throughout the whole of Europe. Such as films archives, film libraries but also researchers, producers and filmmakers... Find their contact details below. Les Archives départementales de l'Ain sont en convention de partenariat depuis 2007 avec la Cinémathèque des pays de Savoie et de l'Ain pour la collecte, la sauvegarde, le traitement documentaire, la conservation, la numérisation et la valorisation des films amateurs. Since 2003, ARCHIPOP aims to collect, save and promote films reflecting the activities, events and daily life in Nord-Pas-de-Calais - Picardie. Created in 2003, the association Archipop gather over 1200 hours from more than 250 personal collections, representing more than 3000 reels. The collection grows each month with over 50 hours of newly acquired amateur movies. Archipop is also thought for a public with more specific expectations : organizations, local authorities, academics, students, researchers, authors, teachers, librarians, resource centers, archives, agencies, audiovisual professionals, artists (composers, multimedia creators, visual artists...). Archipop is an association supported by the Regional Council of Hauts de France, the DRAC Nord Pas de Calais - Picardie, the County Council of the Somme, the County Council of Aisne, the CGET and several local authorities. 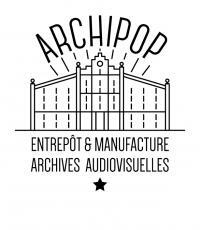 Archipop owns a conservation center adapted to the film preservation condition. High definition digitization of films and videos is ensured by a trusted external provider. The cataloguing of audiovisual collection is completed on DIAZ, a database specifically tailored to amateur film archives needs. 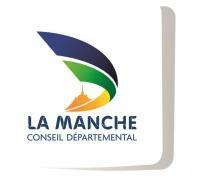 Le service des archives sonores et audiovisuelles des archives départementales de la Manche a été créé fin 2000. Consacré dans un premier aux archives sonores le service s'est ouvert par la suite aux archives audiovisuelles. Le service a une vocation à la fois historique et patrimoniale. Il est en charge, d’une part, du collectage des témoignages des acteurs ayant pris part, témoins ou dépositaires d’une mémoire des événements marquants de ce siècle, et d’autre part, des savoirs et savoir-faire traditionnels et contemporains (d’hier et d’aujourd’hui). Il a également pour mission de recevoir de la part des particuliers et des professionnels qui le souhaitent des documents sonores et audiovisuels concernant le département. Les principaux thèmes abordés, en lien avec la production d’une identité culturelle manchoise, sont : la littérature orale (chants traditionnels, contes, proverbes), la mémoire du vécu (témoignages d’hier et d’aujourd’hui, de ce qui relève du quotidien, avec ses habitudes culturelles et ses bouleversements historiques), des techniques et savoir faire. 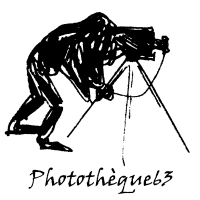 Depuis 2016, participation au festival L'Ecume des films avec la réalisation à trois voix (Normandie Images, Fabrique de Patrimoines et archives départementales de la Manche) d'un montage à partir d'archives audiovisuelles. The Photothèque63 is a service of the Conseil départemental du Puy-de-Dôme based in the departmental archives. This service collects, preserves and promotes the photography and cinema films interesting Auvergne. Since 2015, the Heritage and ethnology department created in 1980 to collect, study and promote the tangible and intangible heritage of the Puy-de-Dôme, joined the Library to showcase the filmed interviews during investigations and expand its business collection of amateur and unreleased films about Auvergne. Ben Teeninga was an active amateur filmmaker. For 25 years, he takes care of the film library of NOVA - the Dutch national organisation of amateur filmmakers. The mission of the Simone de Beauvoir Audiovisual Centre (CASdB) is to gather films and videos about women's issues and feminism starting in the seventies. Rising from the enthusiasm of May 68 and the Estates General of the cinema, interventionist cinema also rose from its ashes, with the desire to film reality as it happens and to act on the protest movements. In this effervescent and activist context, women directors seized on the cinema's new resources such as video, using Sony's Portapak movie cameras. These directors accompanied their history and battles and took charge of their own representation. Like Virginia Woolf who demanded "a room of her own" feminists demanded "a camera of their own". More or less everywhere in France, video collectives — un-incorporated, fluctuating and innovative — grew. It is on those bases, with the concern of video tapes conservation and with the aim to increase production, that the Simone de Beauvoir Audiovisual Centre was funded in 1982 by Carole Roussopoulos, Ioana Wieder, both filmmakers and feminist video pioneers, and Delphine Seyrig, actress and activist film director. - The preservation and restoration of a collection of more than 1,200 titles about Women’s history, struggles, art, creation and LGBTQI rights. - Film circulation and non profit distribution through programming and projections in France and abroad. - Films distribution and sale of images; video editing. We continue to enrich the collection with 21st century productions. The Centre national de l’audiovisuel (CNA) is a cultural institution created in 1989 and placed under the authority of the Ministry of Culture. 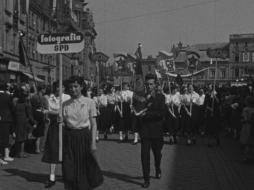 Its missions are the preservation, development and promotion of the audiovisual and photographic heritage of Luxembourg. In 2007 the CNA moved to new premises and has now become both an exhibition space, as well as a place for film screenings, access to archival documents, but is also a specialist for long term preservation of their collections (analogue and digital), with professional studio spaces (sound and film) and photographic laboratories. Ciclic is a French regional agency for litterature, moving images and digital culture, based in Centre-Loire Valley Region. In 2006, Ciclic has created a special department to collect, preserve and valorise amateur films made in this part of France. Ciclic, the regional agency of the Center-Val de Loire for the book, the image and the digital culture, implements a cultural public service born from the cooperation between the Center-Val de Loire Region and the State. Cooperation, research, innovation, support for professionals and the audience, regional planning and cultural economy are the foundations of the missions it carries and the actions it develops. Training, sensibilization, educational research, artistic creation, access to culture, heritage conservation and development are all areas of intervention for the team of the public institution of cultural cooperation that puts its expertise at the service for all and promotes the permanent emergence of projects. 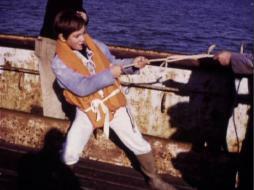 Ciné-Archives’s mission is to preserve and provide access to this moving image collection. This audiovisual heritage is kind of a communist-oriented time machine, as it shows images from the Popular Front, the Spanish Civil War, the Libération-era following WW2, the Cold War, the war in Viet-Nam, as well as films about the communist cities, specially in the Paris suburbs. We have launched in the mid-2000s a campaign to collect amateur films shot by Communist activists, which resulted in a discovery of more than 100 amateur films. The association CINEAM collects and promotes amateur films in the french department of Essonne and in the Paris suburbs. Our archives collections contributes to the knowledge of the history of these places in a region, Paris and the surrounding area, undergoing major change. 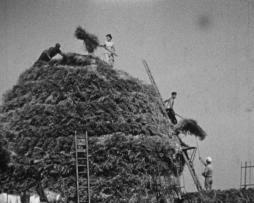 Movies of the 30s about the open-air dance halls of the forest of Sénart, harvests and village feasts in the 40s, detached houses in in the suburbs, trade fairs of the 60s, brand new housing estates, building site of the new town of Evry... Through the poetry of family movies, these images show in a unique way landscaped and architectural changes, history of the social housing, evolution of life in rural areas in the South-Essonne …. CINEAM is mainly supported by the french department of Essonne. Original footages are preserved in appropriate facilities provided by this institution. The Cinématheque is an association created in 1996 by the current director, Gilles Charensol. Its mission is to collect, to preserve and to promote all the professional and amateur movies filmed in zone of mountain since the invention of the cinema. Enrich the collective memory of the regions of mountain. All the movies, the professionals and the amateurs, are listed and kept within the Cinematheque. Movies of famous climbers (Terray, Rebuffat, Desmaison, Vallençant…), great classics of the cinema of mountain, professional documentaries, movies screened in the festivals, the institutional movies and the movies of families, represent the majority of this film collection which combines more than 11 500 reels, video cassettes and files. Once collected, movies are then restored, digitized then indexed on the basis of data of the Cinematheque which is available for consultation online. Reveal the practices and the cultures connected with the world of the mountain. - “The Meetings of the Cinematheque”, the first edition of which took place to Gap in 2009: the annual festival during which are screened documentary movies, for the great majority unpublished works, putting forward a single passion, a mountain: 7500 spectators in 3 days. The Corsican Cinematheque, under the authority of the region of Corsica, collects, preserves and promotes films of the past time but also contributes to create memories and testimonies for the future thanks to the "regional legal deposit' (movie works produced nowadays in Corsica). Films, posters, press-books, photographs, drawings, screenplays, books...are gathered to constitute this saved film heritage. The amateur film is a special case and the approach of the Corsican Cinematheque is to pass on a regional heritage. These films have been entrusted by their author or their family and these personal and intimate images gained a collective dimension and became witnesses of an period, a story and a region. The Cinematheque has also an important activity in its movie theater named "Abel Gance" in Porto-Vecchio and throughout the island where it has developed many partnerships with cultural institutions. It also presents a selection of representative movies in the towns and villages of the island with the "Cinémathèque Itinerante". It also assumes an important pedagogical mission : partner of the Movie Option to the Baccalaureate, partner of a high school participating in 'Cinéma, cent ans de jeunesse' of the Cinémathèque Française, survey of the associations entrusted with the pedagogical projects Ecole et Cinéma, Collège au Cinéma and LAAC (high schools). Created in 2009 by Marc Wilmart, La Cinématheque de Nouvelle-Aquitaine propose to guarantee the collection, the digitization, the preservation and the promotion of cinematic regional heritage. La Cinémathèque is a member of the INEDITS association since 2013. The Cinematheque collect, preserve and promote the unique audiovisual memory in the Rhône-Alpes region. Amateur films, corporate films, family films including over 8,000 reels of film and video media representing 480 donators have been saved. These archived images are an unique testimony on the sociocultural history of the territory. The Cinemathèque des Pays de Savoie et de l'Ain installed in a historic place of exception at the lake of Annecy, features a movie theater and proposes an exhibition each year to welcome the public. Cinémémoire is a movie library which collects amatorial home movies focusing on Marseille, its region and the former French colonies. Its mission is the protection of the audiovisual heritage as well as its promotion and development. Cinememoire aims at preserving and publishing audiovisual supports. It collects, scans, classifies and archives unpublished films since 1995. At this stage, it has collected more than 1800 hours of numerised movies realized since 1920. This collection is daily enriched by digitization and indexation of new films. The website offers an online selection as well as a professional section and drop – in facility. 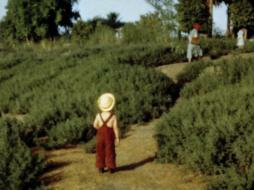 Cinémémoire collection is mainly composed of non professional films and institutional or artistic documentaries, which show daily life scenes in Provence and former french colonies. 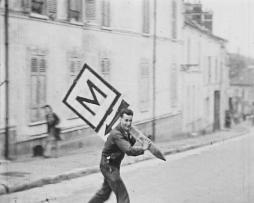 Its goal is to restore, preserve and publish through the website « cinememoire.net » Provence’s audiovisual memory and heritage. To promote its funds Cinememoire has realised several projects such as collecting former colonial films « Shared memories », and the website « Arpenteurs d'Images » concerning the Bouches-du-rhône district. Cinememoire also organize educational workshops and movies projection. Association loi 1901 avec une trentaine de membres actifs. Recherche et répertoire de films amateurs et documentaires Jurassiens ou de réalisateurs Jurassiens avec une option de "rendu" au public de ces images souvent délaissées. ECPAD, audiovisual agency of the Ministry of Defense since 1915, holds an exceptional collection of moving images and photographs: 33 000 film titles and 12 million pictures. The collection, which is progressively digitized, is constantly growing by the photographs and moving images shot by ECPAD’s news crews, by the deposit of images of military reporters of other organizations of Ministry of Defense and by private donations. Under the administrative supervision of the Ministry of Defense, ECPAD guarantees the permanent availability of its news crews who are specially trained in covering operations in real time, in order to testify the engagement of the French Armed Forces in all theatres of operations. In this regard, for a better understanding of current French military undertakings, the photographic and video coverage produced in France and abroad by the ECPAD crews is made available to the French and foreign media. ECPAD is acting as a cultural operator by editing DVDs, books and photographs on military corps and history. 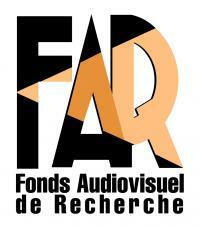 FAR was create in 1999 with the desire to collect, to protect and to value all the audiovisual documents of the region Poitou-Charentes. Strongly implanted on the territory and well known of the local actors, our association fills successfully its historic missions of collection, digitalization, indexation and valuation of the images, while developing its educational animations and other cultural projects. Open to all the public, FAR (Audiovisual Fund of Research) is an association law 1901, recognized by general interest, livened up by volunteers' team (among which of numerous professionals of the image) and two employees, Emma Gardré, in charge of the development and the animation, and Stéphanie Auger, loaded with the administration. FAR is not a service of archiving, but a collective of lovers and enthusiasts by the history, the creation and the images, livened up by the ambition to restore life of these heritage. 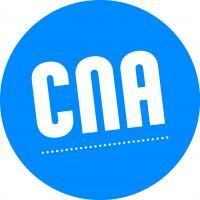 The association works on a participative mode and of exchanges. The depositors and the professionals users are a strength helping in the treatment of the images and the equipment, and in the broadcasting of the memory and the values of FAR. - Promote the creation around archives and produce tools of collection and disclosure such as audiovisual subjects, exhibitions, projections and on-line publishing on the Internet. Besides the digitalization, the protection and the disclosure of the audiovisual documents having an interest for the collective memory, the association works to the access of the young people and the populations stemming from popular circles, in the education in the image and in the film practices (coordination of the "Passeurs d'images", workshops with the "Balbu Ciné" and the MashUp table). The association guarantees to his Members : the freedom of conscience; the principle of nondiscrimination; the equal access of the men and the women; the access of the young people to its governing bodies. The other members are : Julien Brulé, François Gourmel, François Vivier, Françoise Mamolar, Gilles Springmann, Michèle Beauplet and Olivier Nick. Number of volunteers en 2015 : 79. Created in 1988 to compile an audiovisual memory bank of Paris, the Forum des Images has since celebrated cinema and moving pictures of all kinds: feature and animated films, documentaries, shorts, television series, computer films… through thematic film programs, film festivals or special events, and a collection of over 6,000 hours of filmed material. The institution began by bringing together a collection of films about the city, shot as early as 1895, with the greatest possible variety of origins, genres and media. Among the various films collections offered to the audience, le Forum des Images has one specifically dedicated to amateur and family films. In 1989, a first amateur films collect campaign was launched. Hundreds of films were gathered for “Objectif amateur”, a TV broadcost hosted by Pierre Tchernia, passionate about cinema and President of the Forum des images during 20 years. This film collection intended to historians, filmmakers and even to the general audience has not stopped growing and now gathers over 2800 films. Family films, sometimes shot over several decades, include documentaries, often relating important or historical events, animated and fiction films. For the time only 15% of the films can be consulted in our viewing room on individual screens, by one person or several, and some of them can even be viewed on our website. But still, an important valorization work needs to be done, but all of these films can be viewed on appointment. Gianmarco Torri is an independent film curator. His interests are focused on diary film and autobiographical cinema, found footage, amateur cinema and the creative re-use of home movies, essay film, low-budget/self-produced documentary. He curated programmes and retrospectives on documentary, experimental and non-fiction films in Italy and abroad. In the field of home movies and amateur cinema, he was a promoter and co-founder of the Archivio Nazionale del Film di Famiglia in Italy since 2003. Until 2014 he was in charge for the archive development projects, fund raising, collecting projects and presentations, seminars and workshops on the archive activities at Italian and International film festivals. Since 2015 he is working as a development strategy consultant for Italian amateur film archives, at designing and managing collecting projects, valorisation activities and training courses. 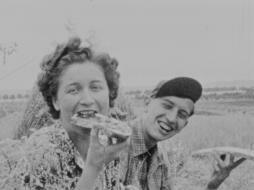 Together with Karianne Fiorini, he is currently working at creating a network of Italian amateur film archives through the sharing of knowledges and methodologies, and through collaborative projects of valorisation of their collections, the first of which is the RE-FRAMING HOME MOVIES project. He has published interviews, articles and essays on many different subjects and filmmakers such as Alberto Grifi, Ed Pincus, Ross McElwee, Direct Cinema, Italian independent documentary, amateur cinema and the re-use of home movies. He is in charge for the audiovisual collections of the CTU - UNIVERSITY OF MILAN. He is member of the Board of Directors of AVI - Associazione Videoteche e Mediateche Italiane and member of the Scientific Committee of the MOSTRA INTERNAZIONALE DEL NUOVO CINEMA in Pesaro, where he is also a co-curator of the sections SUPER8 and SATELLITE – Screenings for the future cinema. The Italian Amateur Film Archive was born in 2002 with the mission to preserve and harness the amateur and family film, a still hidden and inaccessible audiovisual heritage. The Archive was founded and is managed by the Home Movies Association, a research group involved in promoting and organizing the study, storage and enhancement of amateur and family film. Italian Amateur Film Archive is the first Italian institution for the preservation and enhancement of the rich audiovisual amateur heritage, still unpublished for its main portion, coming almost exclusively from families and non-professional contexts, and until recently wrongly considered minority. Home Movies is today the only organization in Italy of study and collection of amatorial film materials throughout the nation, able to grant the preservation of the original audiovisual patrimony in appropriate rooms. The archive collects and disseminates an hidden heritage, preventing dispersion and oblivion. This includes family films, but also documentaries and fiction films - often made by skilled amateur filmmakers -, works of experimental and independent filmmakers, scientific films and other materials. In most cases these films document the everyday live of people who visually record their holidays, trips, collective rituals, public events, work, landscape. The audiovisual documentation, private and unpublished, from the Archive collection is therefore a huge and extraordinary representation of Italian history, a heritage that is increasingly published and disseminated through projects and initiatives. 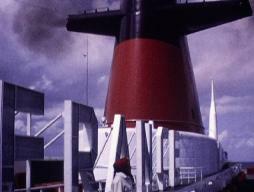 Numerous scholar researches had the Archive as subject and many film and art productions already used the images, in particular for the production of documentary films. From the archive materials Home Movies also produces, independently or in partnership, cross-media and audiovisual products, editions of films, documentaries, installations. Since 2008 Home Movies is member of the European network INEDITS, while in 2011 the Italian Amateur Film Archive was declared by the Italian Ministry of Cultural Heritage and Tourism (MiBACT) "significant archive of historical interest". Image'Est is the association that brings together the actors of the image chain in the Grand Est region. In this capacity, it brings together and represents the interests of professionals from the fields of creation, production and broadcasting, higher education and research, film literacy, innovation and film heritage. As part of its patrimonial work, Image'Est has undertaken to develop a project entitled "Memory of images", which consists of collecting, safeguarding and transmitting industrial heritage through collecting, digitizing and promoting amateur films. The aim is to set up a resource center and to highlight industrial heritage in a European context by promoting amateur films that preserve the memory of cultural, social and economic life of our post-industrial societies. I retired in 2007 having spent 38 years working with broadcast telecine and video tape. After working for Ciclic on their amateur films collections in Centre-Val de Loire (France), Julie Guillaumot remained a member of INEDITS, on an individual membership. Her main interest is amateur film history, especially the period of World War II. Karianne Fiorini is an independent film archivist and curator. Since 2003 she has worked on numerous different home movie projects and has been a frequent contributor to International meetings and symposia, including the AMIA Conference (2007, 2010, 2015, 2018) and the Home Movie Summit (2010). She is currently running a national survey on home movie archives in Italy with the ICAR - Istituto Centrale per gli archivi (http://www.antenati.san.beniculturali.it/storie-di-famiglia/), co-curating an Italian educational project called RE-FRAMING HOME MOVIES / RESIDENZE IN ARCHIVIO (2017) and RE-FRAMING HOME MOVIES / L’EREDITA’ RITROVATA (2018) (www.reframinghomemovies.it). She has collaborated with the Chicago Film Archives for the INTERNATIONAL MEDIA MIXER project (2017-2018). 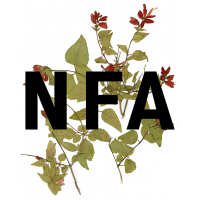 Since some years she is working with the German filmmaker Helga Fanderl on a “catalogue raisonné” of her work (first output of the project: http://www.helgafanderl.com), and has curated film programs for the MOSTRA INTERNAZIONALE DEL NUOVO CINEMA DI PESARO. She was one of the founders of the Archivio Nazionale del Film di Famiglia (Bologna, IT), where she was manager of Film Collections and Cataloguing for twelve years between 2003 and 2015. Since 2018 she is part of the International Home Movie Day Committee of the Center for Home Movies. The Toulouse Cinematheque was founded in 1964 by passionate cinema fans gathered around Raymond Borde and has been a member of the International Federation of Film Archives (FIAF) since 1965. It is currently managed by Robert Guédiguian. The Toulouse Cinematheque is one of the three most important French film archives and the second biggest cinema archive in France. It is supported by the CNC (National Film Centre), the City of Toulouse, General and Regional Councils. It preserves more than 48 211 copies, more than 85 000 film posters (the most important film poster collection in France), 550 000 photographs, 72 000 pressbooks, 15 000 publications and has always carried out film preservation and promotion policies. Film restorer, artistic & technical director. Graduated in political science and ethnology, Laure Sainte-Rose specialized in the field of film heritage thanks to a learning session at the French Film Archives (1995 - 1997) and the professional programm Archimédia de 1997 to 2001. She was responsible for the treatment of the artists' films and experimental films collection of the National Museum of Modern Art - Pompidou Center for ten years. Since then, she has been developing a technical and artistic work ranging from restoration to valorization of audiovisual archives of national museums, public archives, private collections. She teaches in art schools, universities (master Lyon II) and occasionally works with specialized film heritage institutions. She is a member of Artizz since 2017, a group of french craftpersons. 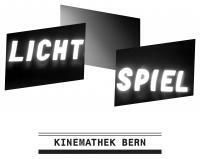 The Lichtspiel / cinémathèque Berne was founded in 2000 to collect and preserve anything related to the production and reproduction of moving images. It is a unique cinematographic collection with an open cinema in the heart of the hall, an archive, a workshop and a storehouse, a mélange of cinema, museum, service station for cinematographic material and network for film aficionados. La Médiathèque Valais - Martigny est chargée de la conservation des films et images en mouvement tournés en Valais ou par des Valaisans. Elle rassemble toutes les œuvres commerciales ou non, réalisées par des professionnels ou des amateurs. Les premiers documents remontent au début du XXe siècle. Plus de 350 fonds constituent la collection. Ils comprennent environ 10’000 documents sur tout type de supports, professionnels et amateurs: films 8mm, 9,5mm, 16mm, 35mm, Super 8...; vidéos analogiques ou numériques. Un effort particulier a été aussi mené en faveur de la conservation des films de famille. Quelques dépôts extraordinaires apportent un éclairage nouveau sur la vie quotidienne du passé. National Film Archive (Národní filmový archiv), established in 1943, is one of the oldest film heritage institutions in the World. Its collections are large, ranging from Czech fiction, non-fiction and animated films, to posters, photographs, screenplays, paper documentation. The collection of amateur films and home movies was founded in 2000. This collection has three main parts – amateur feature, animated and documentary films, including home movies – and contains footage of various gauges (9,5 mm, 16 mm, 8 mm, Super 8 mm, 35 mm), which were created in the period from 1920s to 1990s. Currently, internal database includes 900 amateur films, which are important source of informations about specific area of Czech cinema produced in parallel with products of contemporary film industry. Besides preservation of this kind material National Film Archive focuses on its presentation at conferences (Orphan Film Symposium, 2014) and film festivals (International Documentary Film Festival Jihlava, 2015). Czech archive is member of association Inedits for a many years. Amateur filmmaker since the early seventies. Winner of several awards on a national and international level. In 1984, he founded the CiAC (Cineamatori Ceresio Lugano Club), of which he was the president for 18 years. In 2010, he was the director of the 75th National Film and Video Festival in Spiez. For several years he was part of the national committee "swiss.movie" and for six years he was a member of UNICA - Union Internationale du Cinéma. He is currently working on a museum in Italian Switzerland about amateur filmmaking. The Flying Spot Ltd is my new film digitisation and telecine transfer company, formed following the closure of BBC S&PP Digital Media services in April 2016. I previously worked in telecine at the BBC for over 34 years, specialising in archives and amateur films since 1998. Following the closure of BBC Studios and Post Production Digital Media Services in April 2016, I took voluntary redundancy and early retirement and acquired all my telecine equipment and spares from the BBC. I have now set up my own telecine transfer and digitising operation using the same equipment and techniques as previously at the BBC. Building and accommodation work is nearly complete and I hope to be operational by the start of July 2016. My telecine machine will handle Standard-8, Super-8, 9.5, 16 and 35mm film in standard-definition (625/50) format. No high-definition operation unfortunately - the BBC have retained their Philips Spirit telecine for their own internal purposes. My new workplace will be in Cannon House, 25 Cadogan Road, Royal Arsenal Riverside, Woolwich, London, SE18 6LB, UK. Cannon House is the site of Stockroom London, a leading archive management and storage company and a member of FOCAL International. I will update this page with more information when I am fully operational.